When I came into AA, I came into a new world. 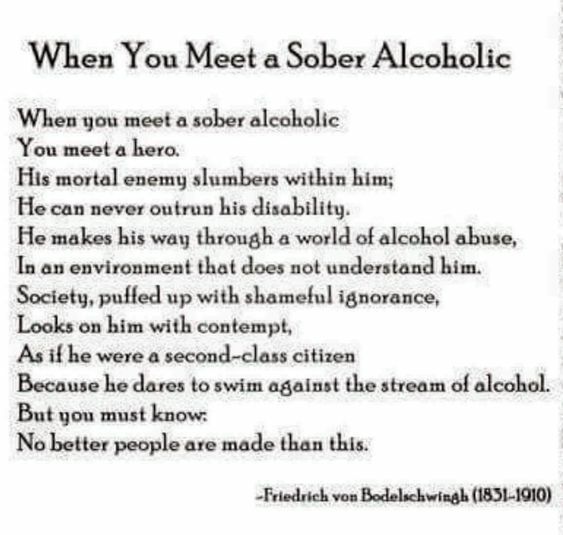 A sober world. A world of sobriety, peace, serenity and happiness. But I know that if I take just one drink, I’ll go right back into that old world. That alcoholic world. That world of drunkenness, conflict and misery. That alcoholic world is not a pleasant place for an alcoholic to live in. Looking at the world through the bottom of a whiskey glass is no fun after you’ve become an alcoholic. Do I want to go back to that alcoholic world?